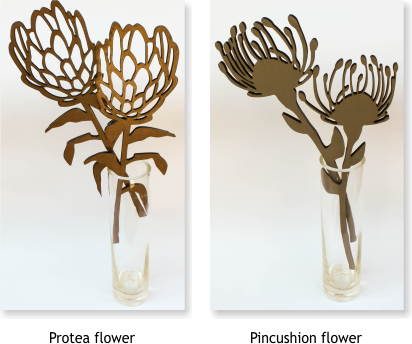 Wooden Protea and Pincushion flowers cut from 6mm MDF supawood. 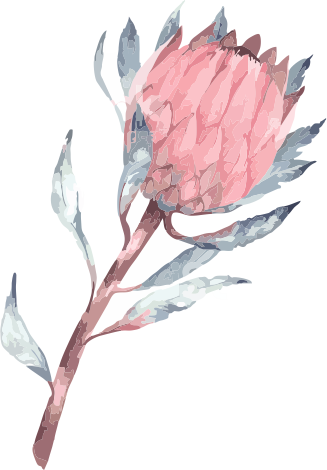 Take home some of South Africa's unique indigenous flora to decorate your home. Place in a vase for an elegant table setting or mount on the wall for unique wall art. It's the perfect lightweight gift for any friend or family living locally or overseas. May be in stock or made to order. The pictures featured showcase some of the designs that have been created. Other designs can be custom made for you. Size: 50mm(w) x 50mm(h) x 10mm(deep). The pictures featured showcase some of the designs that have been created. Care: spot clean only with a damp cloth. Do not immerse in water. Please use the code indicated when ordering.